The 2020 United States Census, known as Census 2020, will be the twenty-fourth United States Census. National Census Day, the reference day used for the census, will be April 1, 2020. As required by the United States Constitution, the U.S. Census has been conducted every 10 years since 1790. The 2010 United States Census was the previous census completed. Participation in the U.S. Census is required by law in Title 13 of the United States Code. As per the 72-year rule, personally identifiable information is scheduled to become available in 2092. The United States Census Bureau annually conducts population projections for the United States as a whole and individual states, which are based on data from the previous census (in this case, the 2010 census) and calculated using a cohort-component method. Population projections also take into consideration births, deaths, and net migration. In 2020, the United States population is projected to be 333,546,000, an 8.03% increase from the 2010 Census. The Commerce Department announced in March 2018 that the 2020 Census will ask respondents if they are United States citizens in agreement with a request from the Trump administration. 11 states (Connecticut, Delaware, Illinois, Massachusetts, New Jersey, New Mexico, Oregon, Pennsylvania, Rhode Island, Washington, California) have stated they would sue to block the Trump administration's requested question. On January 11, 2019, a judge in the United States District Court for the Southern District of New York issued a ruling that invalidates this question. This is the first case to reach a decision on this change. On March 6, 2019, a second judge in the United States District Court for Northern California issued a ruling also invalidating the question. That decision, issued by Judge Richard Seeborg, was based on both statutory and constitutional grounds. The ruling was issued in a case brought by the Lawyers' Committee for Civil Rights Under Law on behalf of the City of San Jose and the Black Alliance for Just Immigration, and a parallel case brought by the State of California. The printing company Cenveo won the $61 million contract in October 2017 to produce census forms and reminders, but went bankrupt less than four months later. The Inspector General of the U.S. Government Publishing Office said the agency failed to check the company's financial status, and improperly allowed the company to lower its bid after other bids were unsealed. The U.S. decennial census is used to determine federal funds, grants and support to states. Since 1950, the Census Bureau has not included the citizenship question fearing that it would reduce response ratings and cause undercounting, which affects federal funding to states and cities. Following some initial debate, the Census Bureau announced in March 2018 its plan to add a question related to citizenship for the 2020 census: "Is this person a citizen of the United States?". For the 2020 Census, Wilbur Ross, the United States Secretary of Commerce which oversees the Bureau, stated to Congress that the citizenship numbers were necessary to enforce the Voting Rights Act's protection against voting discrimination. Ross stated to Congress that the citizenship question was requested by the Justice Department and approved by him. Upon the Bureau's announcement, several state and city officials criticized the decision, reiterating the concern about discouraging participation from immigrants, resulting in undercounting, and questions the motives of Ross (one of President Donald Trump's appointees to his cabinet) in adding the question. A lawsuit, led by New York state's attorney general Barbara Underwood and joined by seventeen other states, fifteen cities and other civil rights groups, was filed in the United States District Court for the Southern District of New York. During the discovery phase of the trial, new information came about that Ross had had previous discussions with Steve Bannon before March 2018 with the intent to add the citizenship question, contradicting statements that he had made to Congress in March. This led to District Judge Jesse M. Furman in September 2018 to ask that Ross clear a day in his schedule to give a deposition to the court related to the addition of the census question prior to the planned start of the trial in November. The government filed a writ of mandamus to the United States Supreme Court, requesting they postpone the trial, as well as to defer any involvement with Ross until the start of the trial. The Supreme Court issued an order that allowed the trial to go forward, but agreed to postponing Ross's deposition until after the start of the trial. The Supreme Court also agreed to treat the writ of mandamus as a writ of petition, and granted certiorari to review the question raised by the government, whether a district court can request deposition of a high-ranking executive branch official on a matter related to a trial before evidence has been presented. Judge Furman ruled in January 2019 that the addition of the citizenship question to the census was unlawful, stating that "the decision to add a citizenship question to the 2020 Census -- even if it did not violate the Constitution itself -- was unlawful for a multitude of independent reasons and must be set aside." It is expected for the Justice Department to appeal this ruling. The Supreme Court initially declined the case but later agreed to hear the case in April 2019. Since the Supreme Court's decision to hear the case, two other federal district judges, in California and Maryland, have also ruled that the addition of the citizenship question would be unconstitutional on the basis that it will discourage immigrants (legal or otherwise) from responding and disproportionate the Census' results for these groups. ^ "Interactive Timeline". About the 2010 Census. U.S. Census Bureau. 2011. Archived from the original on December 20, 2010. Retrieved June 17, 2011. ^ "Title 13 §221 of the United States code" (PDF). February 21, 2019. ^ PIO, US Census Bureau, Census History Staff,. "The "72-Year Rule" - History - U.S. Census Bureau". Census.gov. Retrieved October 26, 2015. ^ "About Population Projections - People and Households - U.S. Census Bureau". Archived from the original on January 24, 2016. Retrieved December 11, 2017. ^ Baumgaertner, Emily (March 26, 2018). "Despite Concerns, Census Will Ask Respondents if They Are U.S. Citizens". The New York Times. Retrieved June 13, 2018. ^ Wines, Michael; Baumgaertner, Emily (March 27, 2018). "At Least Twelve States to Sue Trump Administration Over Census Citizenship Question". The New York Times. Retrieved June 13, 2018. ^ Lo Wang, Hansi (January 15, 2019). "Judge Orders Trump Administration To Remove 2020 Census Citizenship Question". NPR. Retrieved January 15, 2019. ^ a b Hurley, Lawrence (November 16, 2018). "Supreme Court to hear census citizenship question dispute". Reuters. Retrieved November 16, 2018. ^ "The 2020 Census Questions Every U.S Household Will Be Asked, Annotated". NPR.org. Retrieved November 3, 2018. 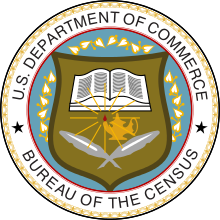 ^ a b "Questions Planned for the 2020 Census and American Community Survey" (PDF). Archived from the original (PDF) on March 30, 2018. ^ "Addition of citizenship question to Census draws swift opposition". CBS News. March 27, 2018. Retrieved November 16, 2018. ^ "Citizenship Question Controversy Complicating Census 2020 Work, Bureau Director Says". NPR.org. Retrieved November 3, 2018. ^ "Census citizenship controversy likely to face New York trial". Associated Press. September 15, 2018. Retrieved November 16, 2018 – via CBS News. ^ Hennessy Jr., William (November 2, 2018). "Supreme Court refuses Trump administration request to delay trial on 2020 census citizenship question". Associated Press. Retrieved November 16, 2018 – via CBS News. ^ Hartfield, Elizabeth; Wallace, Gregory (January 15, 2019). "Federal judge strikes down effort to add citizenship question to Census". CNN. Retrieved January 15, 2019. ^ "Supreme Court will rule on Trump administration's effort to add question on citizenship to 2020 Census". www.msn.com. Retrieved February 15, 2019. ^ de Vogue, Ariane; Hartfield, Elizabeth (April 5, 2019). "Third federal judge blocks census citizenship question". CNN. Retrieved April 5, 2019.